What Professions Are Associated with Hearing Loss? Have you ever thought about what kind of impact your job has on your health? We often hear about work-related illnesses such as stress and back pain, but hearing loss is another major risk associated with a wide range of occupations. If you work in a noisy environment, it’s crucial to be aware of the risk of hearing loss and to take steps to protect your ears. Exposure to loud noises of any kind can put you at risk of hearing loss. If you work with heavy-duty equipment, machinery, or tools, or your job requires you to spend periods of time in loud environments, it’s essential to consider how you could protect your hearing. Here are some examples of professions that are associated with hearing loss. Many of us enjoy listening to live music or letting our hair down at a club on a Friday night. It’s unlikely that a single gig or one night on the tiles is going to affect your hearing, but if you’re a musician or a DJ, you’re involved in sound production, or you work at a venue that hosts concerts or parties, your hearing could suffer. Prolonged exposure to loud noises can increase the risk of hearing loss and tinnitus. If your boss doesn’t already provide you with ear protection, seek advice from an audiologist and talk to your employer about using earplugs or ear defenders. Construction workers often use power tools and heavy machinery. If you’re using a drill, you’re driving a truck, or you’re working on a site that is packed with vehicles and people operating all kinds of different equipment, you should make use of ear protection. The recommended sound limit is 85 decibels. Past this point, it is possible for damage to the ears to occur. A drill alone can generate more than 115 decibels. If you’ve ever been to a factory before, you were probably greeted by a cacophony of noises. 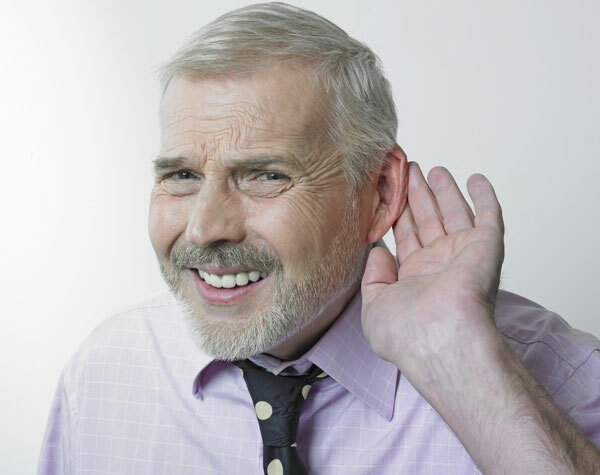 With all kinds of weird and wonderful machines, gadgets and gizmos clicking and clunking over the course of the working day, it’s no wonder that hearing loss is a common occupational illness among factory workers. Carpentry is a skill that is always in demand, but there are drawbacks to the job. Being a carpenter requires you to work with tools, which tend to generate a lot of noise. If you’re drilling, hammering, or sawing away all day, every day, this is bound to take its toll on the delicate structures inside the ear canal. To reduce the risk of hearing loss, it’s always wise to wear earplugs or ear defenders. If you work in a noisy environment, or you use machinery, equipment or tools that generate high volumes of noise, it’s essential to employ measures to protect your hearing. An audiologist can provide you with tailored advice to enable you to continue working without putting your hearing at risk and help you find the best ear protection.